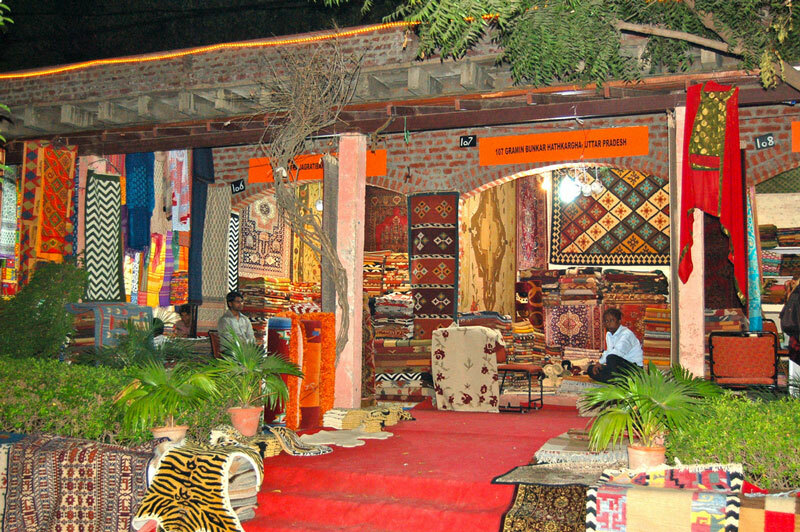 The Dilli Haats in Delhi are symbolic of the culture and lifestyle of the capital of the country. The very happening place where food, music, life and festivities converge is what the Dilli Haat is famous for. Located at the heart of the city, this location has been beautifully designed over its six-acre area to provide the feel of an ethnic marketplace with a huge number of sellers and buyers bargaining over their goods. Also, famous for the various food items available within the location, this spot has carved itself a niche as a top spot to be visited by tourists to experience the life of the people of Delhi. Apart from the main Dilli Haat which is opposite the INA market, there are two other Dilli Haats in Pitampara and also at Janakpuri. Set up in 1994 by the government as a spot for artisans to display and sell their artistic wares, this place has become synonymous as a cultural hub of the city. The area is mostly crowded with sellers moving around with their wares. The heat and the humidity can be combated by wearing hats or caps and drinking lots of water to prevent dehydration. A visit on the weekdays is guaranteed to be more peaceful. Walk around the area and look into the various stalls which display all kinds of items. Use the vibrant backdrop as the perfect location to carry out photography to your heart’s content. Enjoy the various eateries which have been set up and sell all kinds of food from various states of the country. Bargain and haggle over items that catch your fancy. Relax at the alluring play area which has been set up for kids visiting the spot. Experience a totally new perspective on the ethnic background of the country through the various stalls which have been set up. There are also a plethora of shops selling clothes, footwear and related accessories from different parts of the country. As the spot is a market place, there is no necessity of a guide. But if you need a local person to haggle for you and get you the best deals there are people available for a certain fee. Delhi is a city which experiences really hot temperatures. The months from October to March are the best time to visit the city for the most pleasant experience. The autumn months are mild and provide a good ambiance while the winters can get too foggy at times. The weekends get really crowded and so the weekdays would be better to visit the location if the crowd is to be avoided. Delhi being the capital has got an International airport along with the old and new railway stations. The main Dilli Haat is located opposite the INA market in South Delhi and can be reached by getting off the INA stopping via metro. Buses, cabs and auto rickshaws are available in plenty for this location as it is a major tourist hub. 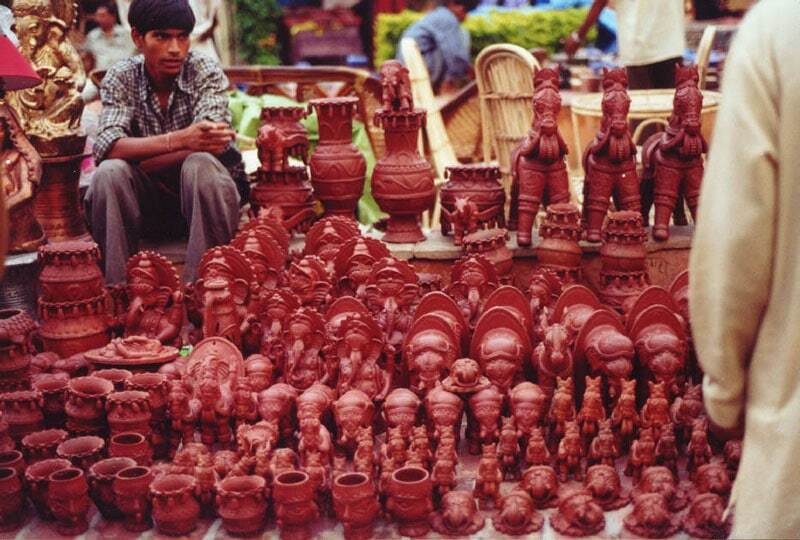 The Dilli Haat in Janakpuri was developed with the idea of making it the hub of music festivals within the city. It has got an auditorium to seat people for such festivities. The first Comic Con in India at 2011, was conducted at the Dilli Haat owing to its central significance. The stalls are rotated among sellers on a fifteen-day basis for a nominal fee of just Rs.100 per day. A lot of festivals like the food festival, mango festival and summer festival are conducted to attract customers in the region. Care has been taken to make the location wheel chair friendly. This central spot with its colorful and vibrant culture is a prime attraction for both locals and tourists. Visiting this spot definitely transforms one’s ideas on the diversity and ethnic background of the country.